This page is all about wrongful termination settlement amounts in New Hampshire. It is very rare for great claims to go to court, as they usually reach settlement out of court. A lot of these litigation cases incorporate mixed verdicts, which means they involved 1, or possibly a number of claims of wrongful firing as a result of sexual orientation, gender expression or gender identity discrimination, race, color, national origin, religion discrimination, whistleblower, pregnancy, disability, breach of employment contract or gender discrimination. The data in the next paragraph exhibits a summary of the different types of cases filed and also their respective volumes in NH in 2017. 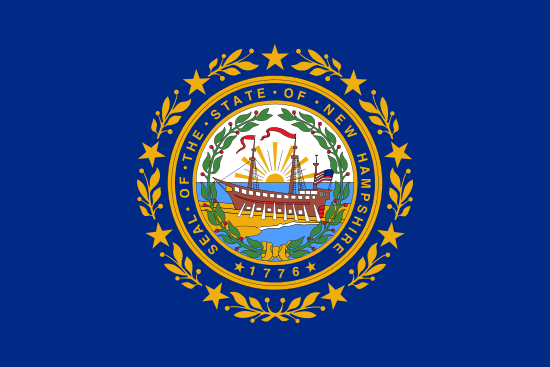 New Hampshire is one of the smallest US states both in terms of size and population. The number of wrongful discrimination charges is also very low, as we can see from the EEOC’s statistics above. Maureen McPadden worked as a pharmacist for Wal-Mart in Seabrook, NH for 13 years. She was terminated in 2012, after she filed a safety report about her concerns on how her colleagues were dispensing prescriptions. Wal-Mart claimed that she was terminated because she lost the keys to the pharmacy, but her male colleagues who had also lost the keys were not terminated. EEOC v Fred Fuller Oil Co.
Nichole Wilkins and Beverly Mulcahey worked for Fred Fuller Oil Company in New Hampshire. They claimed that the owner of the company, Fred Fuller, created a sexually hostile work environment, and sued the company. Nichole Wilkins was sexually assaulted by Fuller, and had to quit her job because of the unbearable work environment. Nichole Wilkins was also sexually harassed by Fuller. After she informed him that she would be filing a charge of sexual harassment, he fired her in retaliation. Such conduct violated Title VII of the Civil Rights Acts. The EEOC sued the company for wrongful termination, retaliation and sexual harassment. After charges were filed, the company went bankrupt, but a judge reopened the case as to Fuller individually. Freudenberg-NOK is a car parts manufacturer with operations in Michigan and New Hampshire. Timothy Poh applied for a Controller position at the company’s Bristol facility. He was interviewed, along with several other job applicants. Poh followed up with the company, but was told that someone “not quite so old” would be hired. The company eventually hired a younger, less experienced man for the job. The Age Discrimination in Employment Act (ADEA) protects those over 40 from age discrimination, both existing employees and job applicants. When examining this catalog of unlawful firing verdicts from New Hampshire, understand that the bigger amounts of money are because of punitive compensation. Punitive damages are rewarded to discourage businesses from engaging in the same kind of unjust behavior. Punitive damages are very uncommon. A large percentage of cases settle for approximately $10,000 to a few hundred thousand dollars. Our selection of wrongful termination verdicts and settlements in NH was created for informational purposes. Although you may feel similarity to any of these examples, bear in mind that each case is unique. What is the average wrongful discharge settlement/award in New Hampshire? If you feel you have been wrongfully terminated, it’s understandable that you want to find out approximately how much money you can expect to receive for your unlawful discharge case. If you settle, the amount you are given is mostly dependant on the following: medical expenses, lost benefits, lost wages, job search costs, reason of termination and emotional distress. Punitive damages can also be granted in rare situations, in the event the employer behaved egregiously. As so you see from the sample lawsuits mentioned above, giving a standard settlement for wrongful discharge cases in NH is going to be really difficult because every single case is unique. The average wrongful termination settlement in New Hampshire is between $4,000 – $100,000. Attorneys are certainly beneficial when brokering a larger settlement. The average jury awards are higher, between $100,000 and $300,000. This is a good reason organizations prefer to come to an agreement before going to court. If you believe you had been terminated for an illegal reason, here are tips on what to do. Most important, you should contact a wrongful termination attorney in New Hampshire to see if you have a claim worth going after. Don’t hold off, because there may be cutoff dates for reporting unlawful termination claims in New Hampshire. Second, you will probably need to file a timely claim with the New Hampshire Commission for Human Rights. Here are several guidelines on filing a wrongful discharge claim.